Marine navigation electronics manufacturer Simrad Yachting hosted an on-board press event Tuesday in Boston Harbor to promote its newest products, which are tailored for versatility in response to consumer focus groups. The result is a simpler (fewer buttons), more intuitive touch screen/rotary knob multifunction unit. Shipping of units with 7- and 8-inch screens begins Friday. Twelve-inch models will ship a month from now. 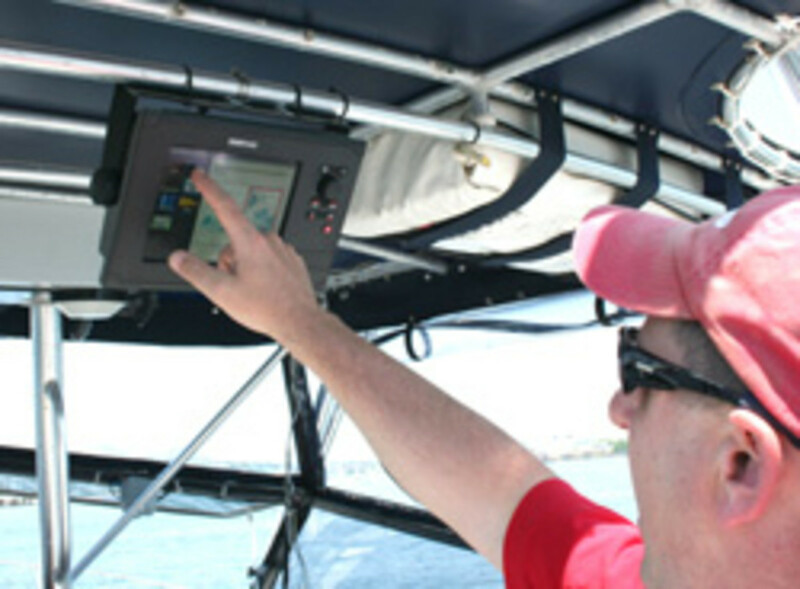 Geared to the 25- to 40-foot boat market, the Simrad NSS Sport is a base unit GPS/plotter that can be expanded with sounder, radar, autopilot and video entertainment features. Its LED backlighting design is touted for its energy efficiency. The company also is reacting to the current economy with price points of $1,895, $2,845 and $3,995, respectively, for the 7-, 8- and 12-inch models. Simrad also promoted its new broadband 3G radar, the next generation of its BR24 Frequency Modulated Continuous Wave radome, the Broadband 3G. The company says the new unit delivers two times greater RF transmit power and 30 percent more range and target detection than the BR24.